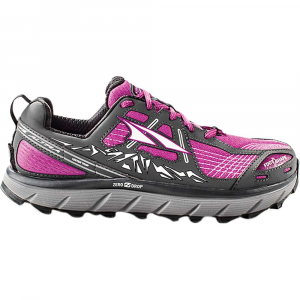 The Altra Lone Peak 3.5 is a lightweight, zero drop, well cushioned and protective trail running shoe that features an extra wide toe box and two types of gaiter attachments. For trail running, backpacking, and hiking it can’t be beat for most situations. 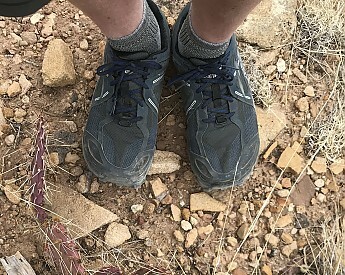 This is my third set of Lone Peaks, having used the 2.5, 3.0, and now the 3.5, and these are the most comfortable shoes I have worn for moving in the outdoors. The 3.5 has a slightly firmer upper than the previous two varieties, giving it a more “locked in” feel. 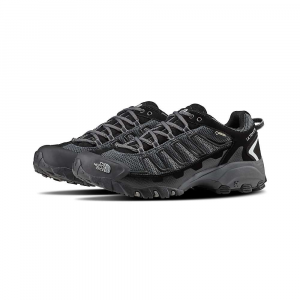 It is very similar to the 3.0 in that the shoe feels very good when moving, but for a light trainer they aren’t high on the comfort scale of sitting around the fire. The 2.0s were very cushy and comfortable, but the foot was prone to movement on the go. Overall the 3.5 has the best moving fit yet. The 25mm sole provides good impact protection for pointy things and repetitive impacts yet gives a great feel for the ground. When standing on a paved surface one can feel the lugs. It’s a little bit like wearing cleats. A set of stiff plastic rock plates is included though I have never used them in any variety of shoe. Unless one has worn Altras or Topos there isn’t much to reference the comfort level of a large toe box. 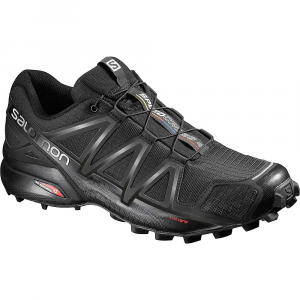 I find them much more comfortable than a standard shoe for running or hiking. The wide and blunt front of the outers is well armored with a layer of outsole and toe cap. The box does a good job of protecting the toes while still allowing splay. Occasionally my toes will touch the end of the shoe, but never to the extent that hotspots or blisters form and I’ve never felt unstable due to foot movement. An added bonus is the increased surface area of the footprint. The zero drop aspect of the shoe is another thing I really enjoy about the Lone Peaks. I found no adjustment period was necessary with my first zero drop shoes, but it may take some getting used to for those switching over. I feel it makes me more stable and gives a better feel for terrain, and as above, the lack of a cut out for a raised arch gives a large footprint which is better for stability. 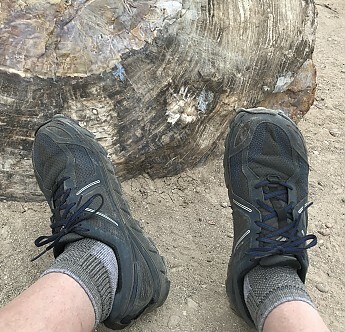 The 3.0s in the same size are slightly wider in the mid-section, on several very wet hikes the insoles migrated off the foot bed and up the outer sides of the shoe, but I have not had this problem with the 3.5s. The 10.5 size is roomy enough for winter weight wool socks without being constrictive. They also fit well enough to wear and move without socks, more on this in the water section. 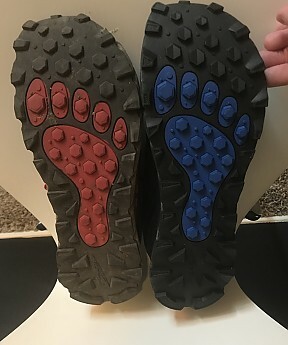 The Lone Peaks in a 10.5 US weigh in at 20.8 ounces pair, which is like most trail running shoes but considerably lighter than most hybrid trail shoes and easily half the weight of a pair of hiking boots. After several months of wearing hiking boots for review testing I couldn’t wait to wear these again. 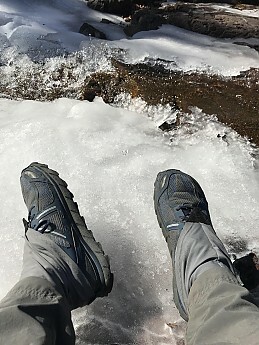 The 3.0s do a better job of keeping debris out without gaiters than previous versions of Lone Peaks and are much better than any of my other low-cut hiking shoes. The integrated gaiter system works well, with a metal hook and loop system in the front of the shoe and a Velcro closure on the back. 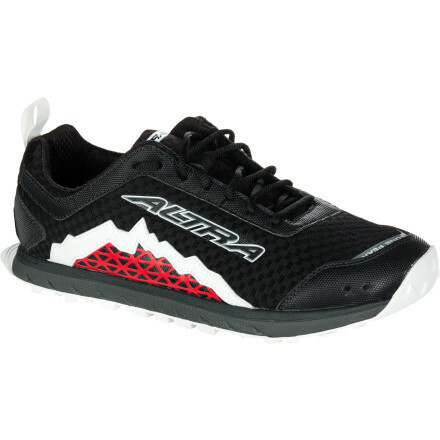 Altra's website describes the Trail Gaiters as a 4-point closure system. There are slits on the sides of the uppers for traditional underfoot strap gaiters. 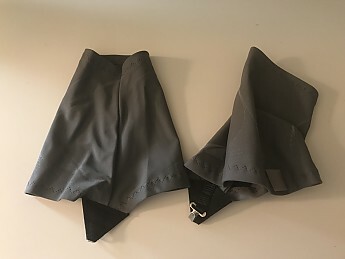 From my experience the gaiters have stayed on and in place, having used both a set purchased with my 3.0s and the test set supplied with the 3.5s. The gaiters are sold separately. Grip is provided by the MaxTrac with TrailClaw system. It’s an aggressive sole unchanged from the 3.0s comprised of hexagons and triangles. It does a good job of shedding mud. I’ve slipped exactly twice in all the time I have used this sole. It happened on the same trip and involved steep descents in partially frozen conditions, once on rock and once in mud. 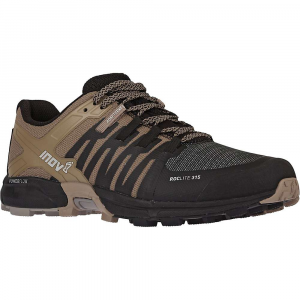 The good ground feel combined with the grippy sole should keep one on their feet regardless of the terrain or activity. Bushwhacking up a frozen creek, down and up damp leaf litter and rock on Bell and Lindsey Mountains. This was my shoe of choice over the winter to walk a dog in icy conditions. The lugs gripped well enough that I didn’t have to use Yaktrax while trying to control an energetic 80-lb Labrador. Not water resistant at all. These shoes will soak up water like a cotton ball, but they will also dry relatively quickly, and are comfortable when wet. You’ll have no problems with hot feet during warm weather. They offer little to no insulation but great breathability. In practice cold temperatures can be regulated with socks and/or gaiters, in my case, eVent gaiters and thick wool or neoprene socks for very cold and wet. Other than moving in snow for extended periods I can’t think of a situation where I wouldn’t wear them. 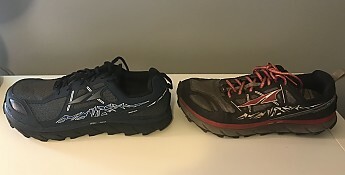 As stated above, the Lone Peaks series are stable and fitted well enough to hike without socks for extended timeframes. 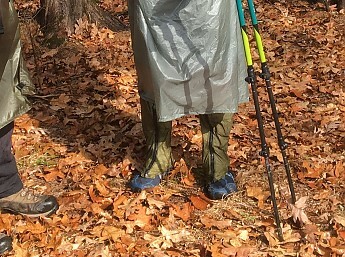 Since transitioning to Lone Peaks for backpacking I no longer carry water or camp shoes, and I’m able to handle water crossings much faster and more safely than using open sandals. Starting up the Narrows in Zion. Who knew desert water could be so cold? 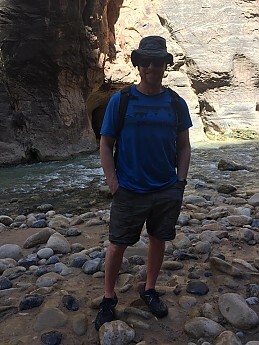 I walked about a mile up and back in the narrows in Zion NP in an impromptu jaunt (I recommend renting the wetsuit if you go,) and comfortably did several miles on a winter backpacking trip bushwhacking up a steep, fast flowing creek in Missouri. The Lone Peaks don’t dry as fast as the Altra Superiors, but they make it up in their level of protection in the sole and uppers. Several miles sockless up a creek? No problem for the Altras. Durability has been the Lone Peak's Achilles heel. My first pair of 2.5 Lone Peaks had a peeling toe cap after 150 miles. In retrospect, I should have taped, glued, or ignored, instead of returning them. The 3.0s have held up well. 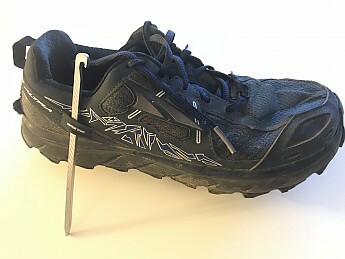 The toe cap of one shoe is peeling (ignored,) and aside from two occurrences of the inserts migrating on wet hikes they are serviceable, though you can see the toe of the 3.0s curling upward in the photos from the miles. The 3.5s have been run through the wringer and put away wet, literally put away wet a few times, and they are holding up great! There is a slight issue of bunching of the cushioning at the top of the heel. Several times this material has been forced downward into the bottom of the heel when putting the shoes on. This is slightly annoying, but the material can be moved back up with a finger and it stays in place while moving. There is some minor laminate on the inside middle of the outers that is peeling off. As far as I can tell it doesn’t serve a purpose and a similar laminate on my Altra Superiors peeled completely off with no ill effects. The soles on my Altars have held up well, the 3.5 is no exception. There are no missing lugs or chunks out of the sole. 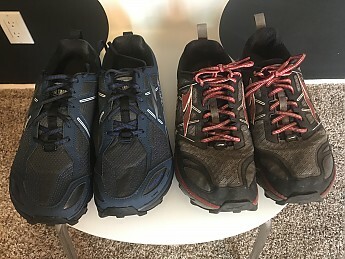 It seems as if the lugs will outlast the rest of the shoe, though the uppers on the 3.5s look very good for their miles. Whatever the recommended miles are for this type of shoe, it would be interesting to see how long they would provide cushion. After nine months of use they are still working well. 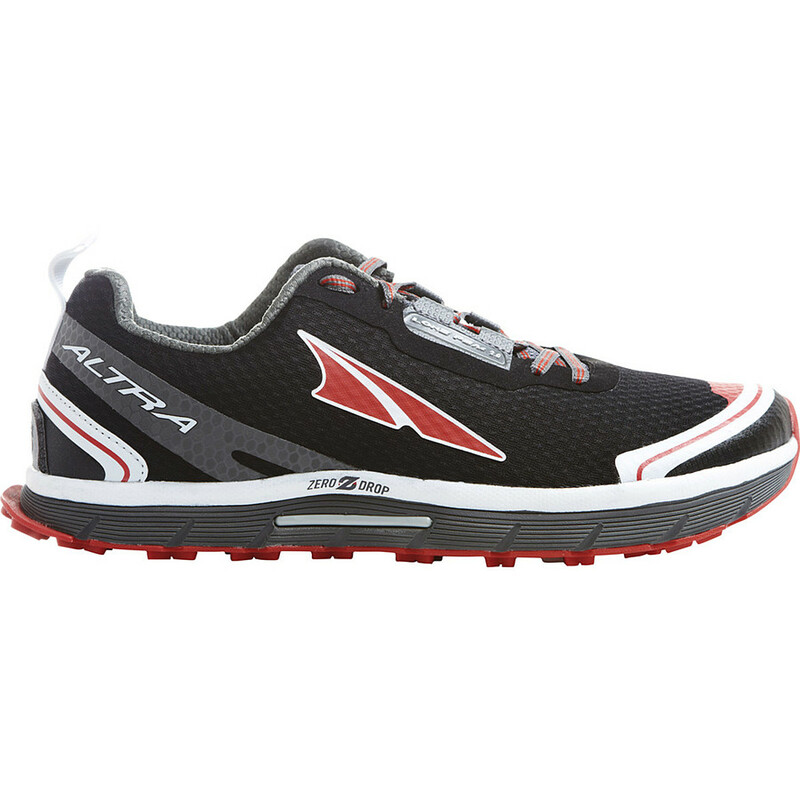 I would recommend the Altra Lone Peaks to hikers, lightweight backpackers, thru-hikers, and trail runners. They may not have the cushioning needed for road running or backpacking with a less than weight conscious pack. 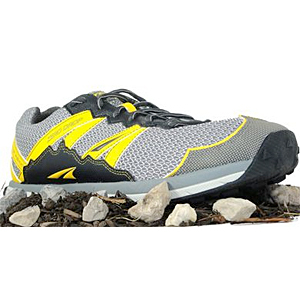 The zero drop and large toe box make for a very comfortable and stable shoe, and if you are in the market for a light trail runner the Lone Peaks should be high on your list, especially after the improvements made in the last two generations. 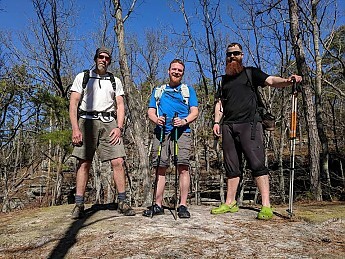 Trail running, hiking, and single and multi-day backpacking for eight months. Temperatures in the teens up to the 90s F, rain, snow, and sleet. Southern Illinois, Missouri, Southern Utah. Great review, Andy! Thanks for testing these Altras out so thoroughly, comparing them to past models, and sharing your experience with them. I'm still a boot guy due to ankle issues and at least imaginary support from them but you are seriously making me consider this shoe. Nice work. Women's Pink and Grey . Men's Blue and Black . Women's Black and Grey . Men's Black and Grey . Men's Red and Black . Men's Black and Yellow .